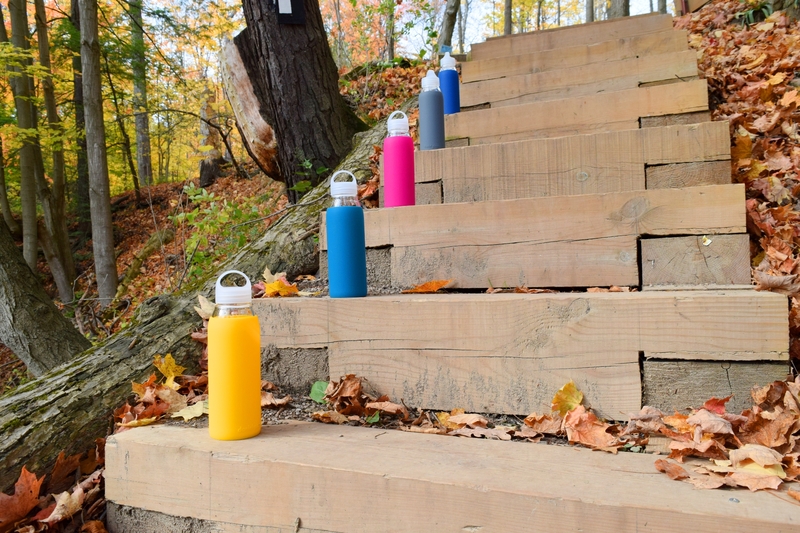 As a young girl walking home from school in the summer meant I’d stop to sip my water from my water bottle. It was an unattractive dark green bottle with a strap that slung over my shoulder, and it was plastic. 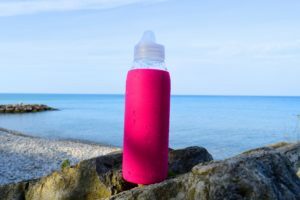 The warm plastic flavoured water tasted awful, and years later we’ve learned that the BPA in plastic leeches into the water and can lead to serious health issues. Bisphenol A (BPA) is a hormone disruptor that has been proven to cause everything from heart disease to reproductive issues in humans. 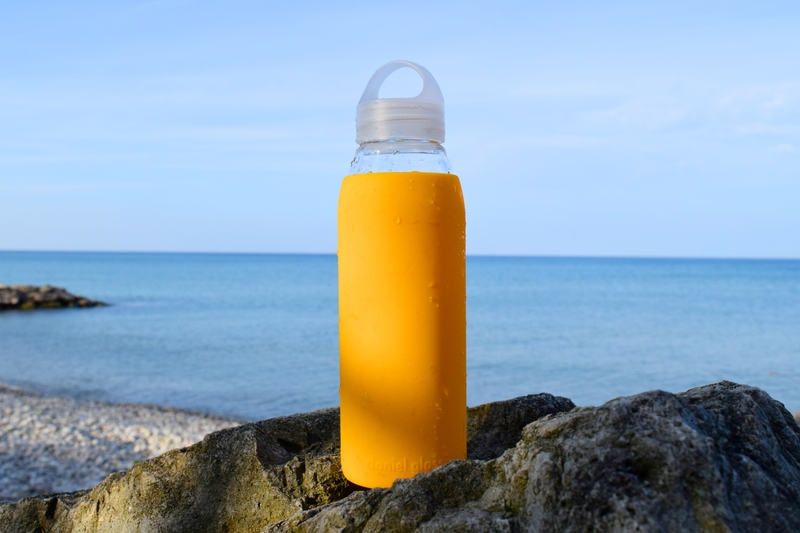 With knowledge of plastic bottles causing health concerns, I turned to drinking exclusively out of glass, but finding a glass bottle that looks great and feels great in the hand hasn’t been that easy. I’ve gone so far as to save my glass Starbucks bottles, but the caps rust and wear out after a few washings, and the ripped-up label does not make for a pretty presentation when sipping in the meeting room. Then, Daniel came into my life! Daniel Glass are beautiful glass bottles made unique by a coloured silicone sleeve. 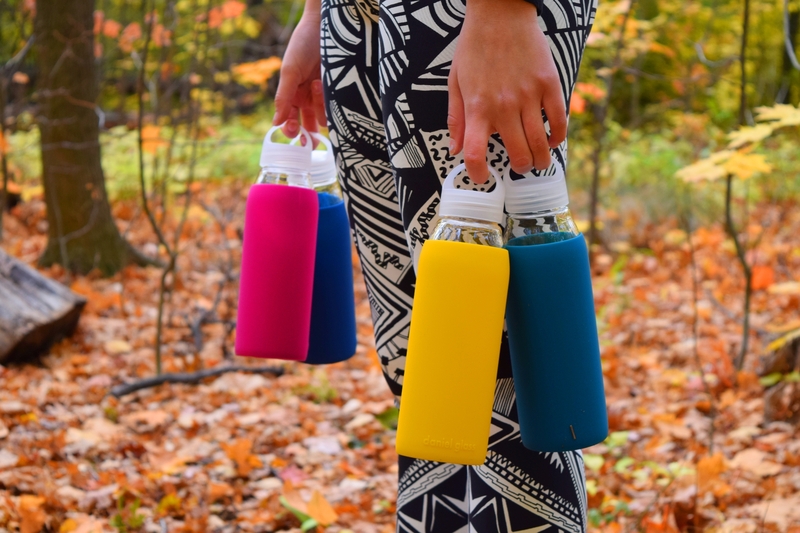 They come in a range of colours and hold a full 20 ounces of fluid. That includes your favourite infused water, and sometimes even my morning coffee. 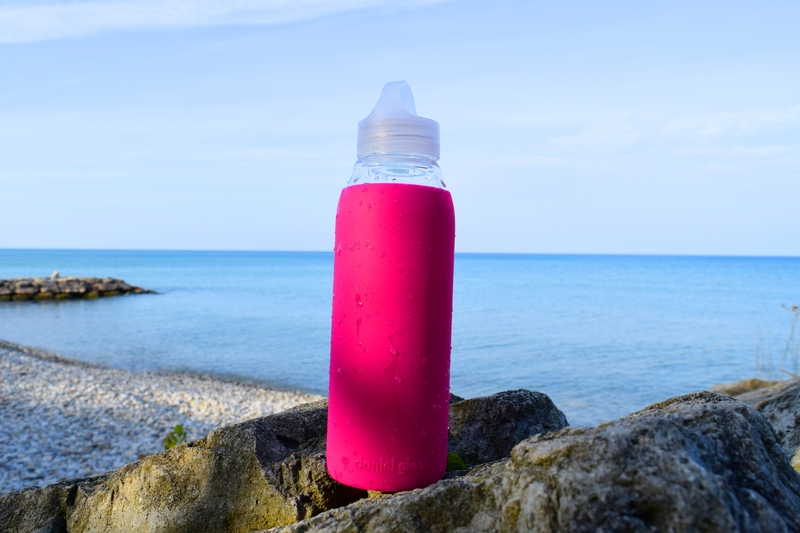 With Daniel Glass your beverage tastes exactly as it should, no plasticky or metal flavouring, and the silicone feels great in the hand without any slippage. Ocean Conservancy tells us that with the help of volunteers 1,024,470 plastic bottles were picked up in 2016, in and around global waterways. The second most popular item collected after cigarette butts. Plastic bottle caps came in at number 4 of this disastrous top 10. 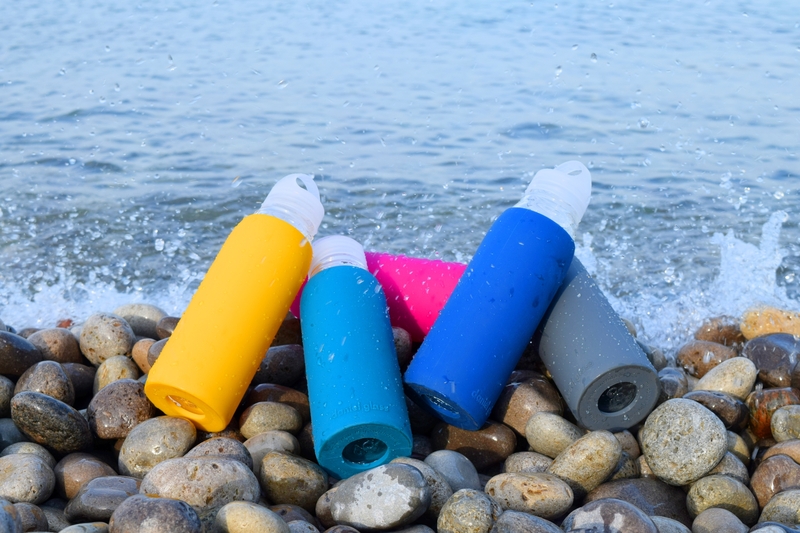 To help with this enormous environmental issue the founders of Daniel Glass have not only created a beautiful, reusable beverage bottle, they also created the #sips2savethesea campaign, where a portion of net profit is donated to charitable organizations that help to keep our oceans clean. That’s thirsty work, leaving you feeling hydrated and happy. Hydration isn’t just for summer. Daniel Glass has a new fall product line that includes the beautiful hues of autumn skies and fallen leaves. 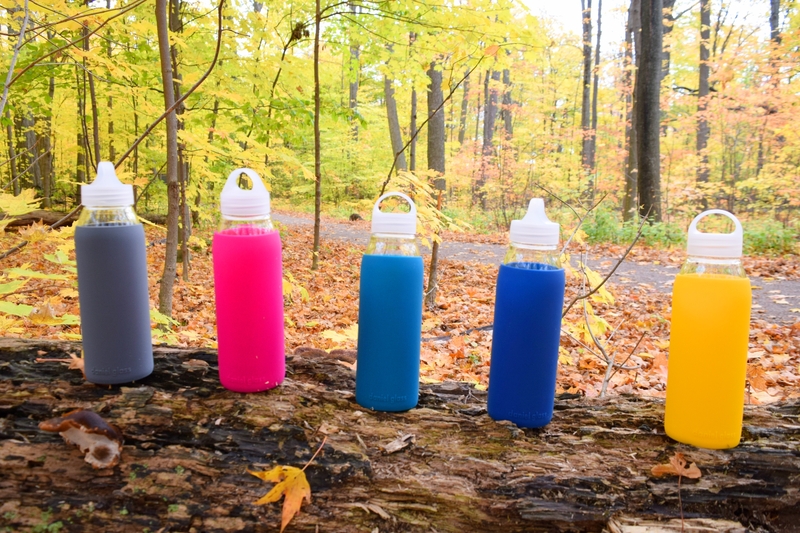 Whether it’s a nature hike or a stroll on a pebbled beach don’t forget your Daniel Glass bottle. And take 15% off your purchase with code TryBelle. Our favourite color around here is the magenta, but yellow came in at a close second. We raffled off a couple among ourselves, and may just include one in our Yogi Christmas Surprise Box to you. Sign up for our newsletter below for more info on this. I’m not that school girl anymore, so there’s no more ugly plastic water bottles for me. I’m into the solid, sturdy type that brings color and fresh flavours into my life, while saving the sea at the same time. Hey there Daniel, you’ve got some #thirstywork to do. Are you ready to quench my thirst? This has to be my fav magazine! This post is amazing! The photos are stunning!!! Thanks Stephanie! Really appreciate your love. We’ve got lots of articles and giveaways coming up, so stay tuned.